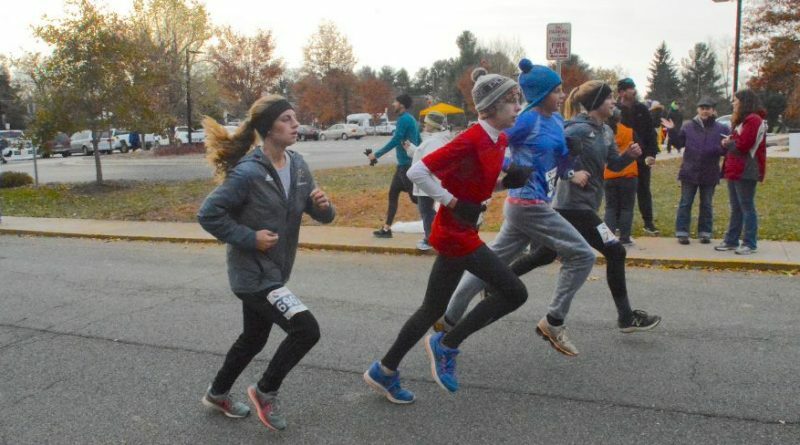 Cooper Dzema beat Sam O’Brien by just a few strides to take top honors in Sunday morning’s Purcellville Turkey Trot. They led a field of more than 300 runners in the 5K race and fun run through town. Dzema crossed the finish line in a time of 18:18, with O’Brien just 6 seconds behind. Mary Smith was the top female finisher, crossing the line in 20:57. It was the 13th year for the event, which raises funds for the Loudoun Valley Community Center Advisory Board’s efforts to assist families in need with financial aid for childcare, preschool and camps, and to provide recreational and educational programs benefitting the center.